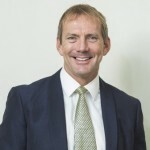 Mark is Director of JESS, Dubai, a top not-for-profit HMC COBIS school. He is currently studying for an Executive Masters in Management at Ashridge Business School, UK. He was Principal of Berkhamsted School between 2008-2015.